Today I am reminded of all my hands are supposed to accomplish. My To Do: list groans under the weight of expectation. I participated in the If:Equip Bible Study on Acts 8:26-40 this morning. I was struck by how Phillip went from serving with the outcasts in Samaria to “a desert place.” How frustrated I become when I feel as though The Lord has sent me to a desert place in life. Why do we want to be in the thick of things (Jerusalem) until we are exhausted and then complain when we are sent to an outpost of “Samaritans” or the “desert places” of life? “Woe is me, I’m shut out.” Phillip doesn’t bemoan his lot. He waits and lo and behold a chariot comes by with a court official from Ethiopia. Phillip has an important job there in the desert. He serves. He doesn’t complain. Do I miss the opportunity to be Jesus’ hands and feet in this world because I assume I’m cast out into the desert of hard times and no use? St. Paul reminded the Colossians that”Whatever you do, do your work heartily, as for the Lord rather than for men, knowing that from the Lord you will receive the reward of the inheritance. It is the Lord Christ whom you serve.” Colossians 3:23-24. 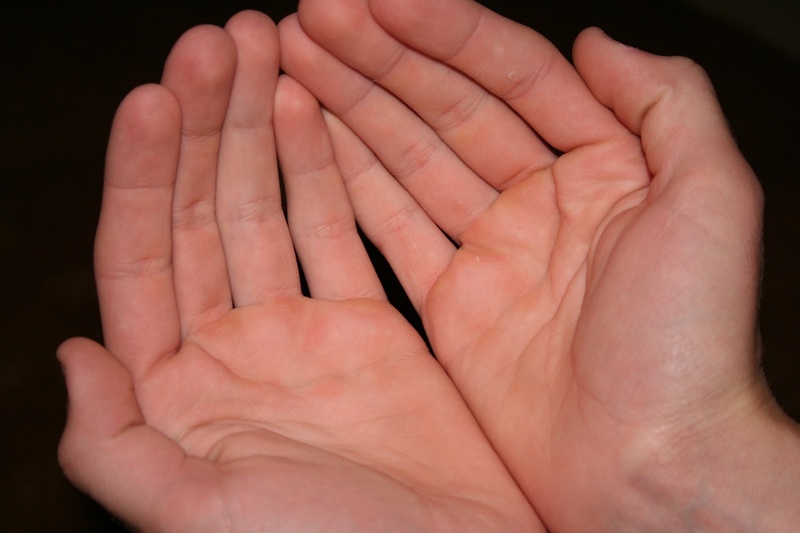 What do your hands need to do today? Will you be building a house, cleaning diapers or litter boxes, cooking a meal or typing on a keyboard? I will try to use my hands to serve Jesus and the Good News in all the humble and desert places that I am sent today. These thoughts are really good, Amy! “How frustrated I become when I feel as though The Lord has sent me to a desert place in life. Why do we want to be in the thick of things (Jerusalem) until we are exhausted and then complain when we are sent to an outpost of “Samaritans” or the “desert places” of life?” Yes. I feel it all the time – my prone to stop instead of persevere. Thank you for your beautiful words. I’m glad you enjoyed this. Thanks for stopping by!